Gary Duane Hustad, age 72, of Apache Junction, AZ went to be with his Lord on November 17, 2018 after succumbing to heart disease. He was born on January 22, 1946 in Owatonna, MN to Stanley Duane Hustad and Pearl Pauline Chladek where he lived on the family farm. In 1957 his family relocated to Phoenix, AZ. He graduated with honors from Mesa High School in 1964 and attended two years at Arizona State University in the Engineering Science program. His family attended First Church of God in Phoenix (Fillmore/9thAve) where he first met and heard the angelic voice of his wife, Tena Karol Knight, in the choir. They were married on June 26, 1966. In August 1966 Gary joined the U.S. Army and was briefly stationed at Fort Gordon in Augusta, Georgia specializing in radio repair until his honorable discharge in May 1967 due to family hardship. After his discharge he did contract work for Motorola Inc. as a technical illustrator where he was eventually employed. Gary then founded his construction business, Diversified Services, which he actively owned and operated until his death. Building and working with his hands was his craft and he would say he never worked a day in his life because he enjoyed what he did. 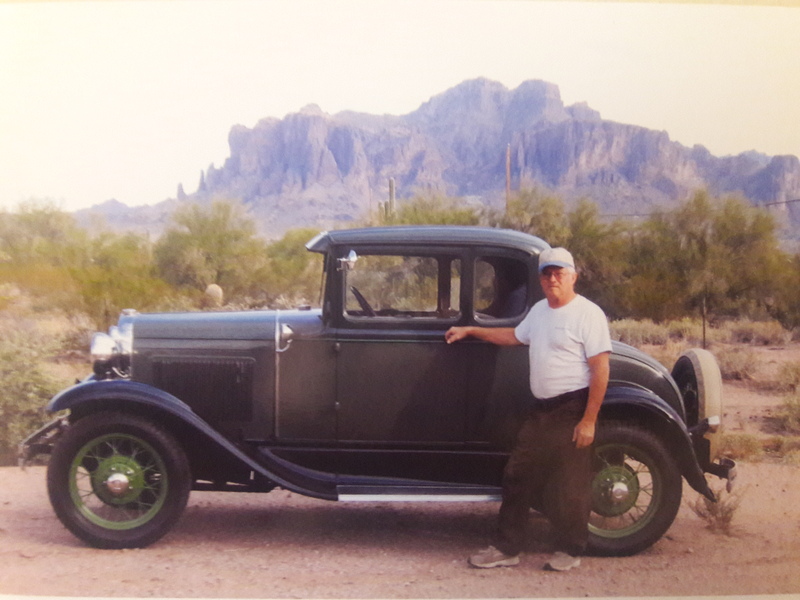 Gary took pride in his twice restored 1930 Ford Model A and was an active member of the Model A Restorers Club of Arizona. He had a tender love for the desert and all its wildlife including the rattlesnakes. This love of nature he shared with his wife Tena, and he adored her many pieces of art she painted to reflect its beauty. Gary was preceded in death by his father, Stanley Duane Hustad (1959), and his wife, Tena K. Hustad (May 2017). Gary is survived by his mother, Pearl P. Hutton, and sister, Karen D. Tafoya; his children, Mike Hustad and Amy Hustad, and grandchildren, Hayden, Evan, Karsen and Liam Hustad. A Memorial Service will celebrate Gary’s life on Saturday, December 15, 2018 at 10:30am. Services will be held at Red Mountain Community Church (6101 E Virginia St., Mesa, AZ 85215) with Pastor Bob Fox officiating. Gary will be missed and remembered. May he enjoy eternal rest. Throw your burden on Jehovah, and he will sustain you. Never will he allow the righteous one to fall. May God’s love shine on you in this time of loss and sorrow. May the prayers of those who care, console and strengthen you. “Blessed are they that mourn for they shall be comforted “~ Matthew 5:4. I can only imagine how hard it is to lose a loved one so close to you. Please be assured that Jehovah God does promise to bring back all those who have died, but are in his infinite memory. They will live on a restored paradise earth. Jesus said at John 5:28, 29, “the hour is coming in which all those in the memorial tombs will hear his[God’s] voice and come out.” I hope this brings you a measure of comfort.